Two new releases from a pair of Charlotte artists dropped during this week's print cycle and landed smack in my inbox. 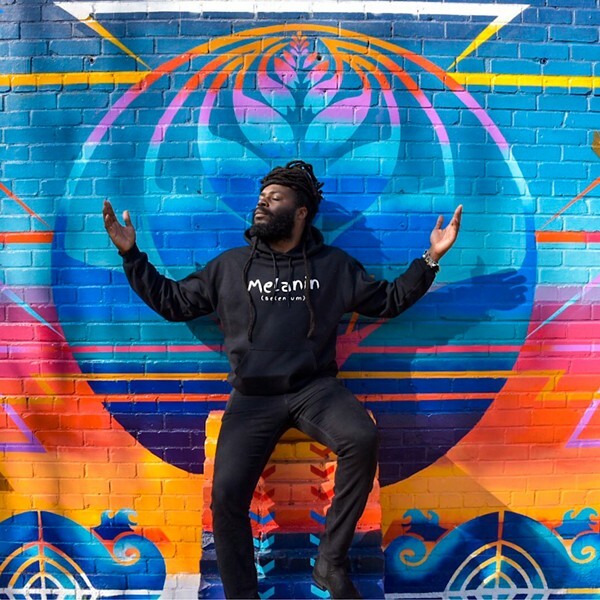 Tireless rapper Black Linen releases Black Linen 3.0 at Petra's on Friday, March 23, and will hold a listening party the following night at DuppNSwat. The EP continues Black Linen's socially conscious themes in tracks such as the poignant "MAP," which begins with an audio clip from the 1982 documentary All By Myself: The Eartha Kitt Story, in which the Catwoman speaks on whether conflicts can be solved without violence: "Naturally, as a woman and as a mother, I feel if you give love that you will receive love in return." The clip morphs gently into Black Linen rhyming, in his trademark laid-back delivery, "She said that she don't have time to waste / She got to go, she can't be late / Her train waiting, she gots to make it / On the other side is a fat ride / And a big crib, with money to play with." The backing tracks on "MAP" are mesmerizing. Black Linen had been online a few years earlier, looking for some loungey orchestral sounds to use in his music, when he landed on an instrumental by the French composer/producer Guillaume aka Renardsurleweb. "I assumed this dude was in a higher class of artistry than I was," Black Linen says, modestly. He listened to it for about four years before finally working up the nerve to contact the creator. What the rapper found was mutual admiration. "He hit me back instantly, acclaiming me for my music that was on Youtube," Black Linen says. "He loved it, we connected and here we are now." The intention of "MAP" — which stands for money and power — was to bring light to what Black Linen calls "the dangers of taking on the characteristics of our subjugators, as opposed to liberation." Later in the track, after more insight from Kitt, Black Linen goes on all cylinders, offering up an emotionally affecting storyline about the dangers of bringing children into a world in which people like Donald Trump are in power. The rapper's head-spinning, rapid-fire delivery will knock you out. 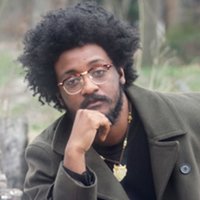 "Some of my favorite artists are Andre 3000, Ghostface Killah and Sade, strictly because of their storytelling and their abilities to emotionally express themselves through story, lyrics and prose," Black Linen says. "Storytelling is taking these scenarios that we are all so familar with, but incorpoartating different dynamics while slightly changing the script, as with life. It's the ultimate gesture to show people you relate and resonate with them." The song features congtributions from Black Linen's longtime collaborator Ali Steele, djembe drummer and rapper Shulla and writer Poetic Chaos. But "MAP" isn't the only velvety cushion of storytelling on BL3.0. There's also "Theory," in which Black Linen raps his thoughts on the One Percent, and "Levitation," wherein he takes us to a higher state of consciousness. The music and lyrics are a leap forward from the first two Black Linen projects, released in 2016 and 2017, and there's a reason for that. "One of the main reasons for its uniqueness is the time since the last project," Black Linen says. "BL1 and BL2 were only three months apart and two very different projects, but heavily influenced by the same experiences. BL3.0 is a year later, with 365 days worth of new life experiences." The other evocative release this week comes from Charlotte producer Will Gilreath, the rock guitarist-turned-DJ who plays with the local electronic duo Astrea Corp. Gilreath drops When You See Me Again, his debut solo EP as Probably Will, on the new Charlotte dance label Danse Direkt. The official release is Friday, March 23, but a physical cassette version of the 7-song EP, with a digital download code, will be available for $8 during his release show the previous night at Snug Harbor. But why did the DJ choose to release it on cassette? 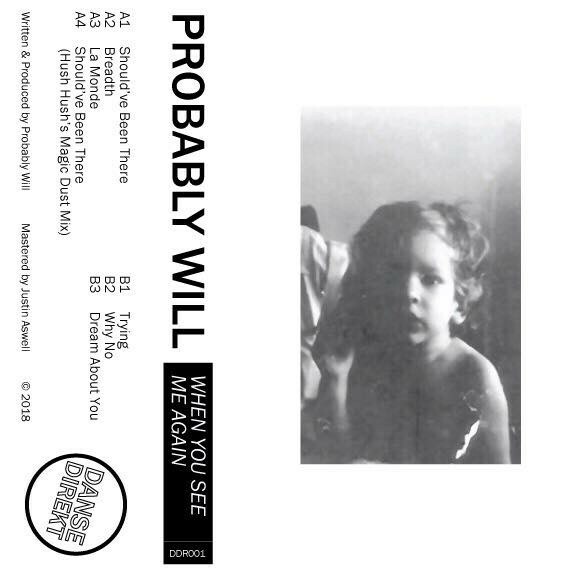 "There's a certain nostalgia and sonic quality that comes with cassette that we felt the music lended itself to," he says, adding that he hopes to raise enough funds to later press vinyl copies. The EP's opening track, "Should've Been There," is an homage to early Chicago deep house. Another track, "Trying," incorporates an Aaliyah sample and a washed-out piano, he says, "to evoke a more pensive and emotional feeling, a feeling I feel is mostly forgotten about in mainstream dance music." As for his transition from guitar to DJ gear, Gilreath says it ain't no big thing: "People saw that change more from an outsider's perspective. To me, I've always just tried to make good music. It felt like a natural step."